Divorce rates for seniors are on the rise. Divorce statistics concerning age paint a very interesting picture of who is getting divorced. The Baby Boom generation grew up in a time when divorce was no longer the social disgrace it was at one point in time. If they see it as an acceptable option to deal with a marriage that is no longer working for them, they may not be as motivated to try to work out issues in the marriage as previous generations were.As women became less economically dependent on their spouses, they became more likely to seek a divorce than to try staying in the marriage. The divorce rate for this generation is triple that of the previous one, and many people found that it was difficult to start over financially afterward. Interestingly enough, people who make up the tail end of the Baby Boomer generation (those people born between 1946 and 1964) are less likely to divorce. According to data released by the U.S. Census Bureau in 2004, 29.2 percent of men born between 1945 and 1949 were divorced before the of 40. Among men born between 1960-1964, the divorce rate by age 40 was 25.4 percent. The numbers for female Baby Boomers were similar. Out of those women born during the early portion of the Baby Boom generation, 34.4 percent were divorced by age 40. Later-born Baby Boomers were less likely to be divorced by the same age; 30.3 percent of them had legally ended a marriage. Another emerging trend when it comes to divorce statistics concerning age is the rise in divorce among people over the age of 50. The AARP (American Association of Retired People) published the results of a survey indicating that a growing number of people were choosing the end their marriage. 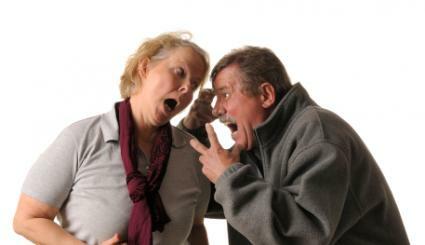 Two-thirds of the time, the divorce action was initiated by the female partner. The women surveyed indicated that physical or mental abuse was one of the main reasons why they wanted out of the marriage. Infidelity and drug or alcohol abuse were also mentioned as reasons why the marriage failed. Almost half of the seniors surveyed (47 percent) who decided to get divorced had been through a previous divorce, which led researchers to conclude that a person who has already been divorced once is more likely to leave a second marriage that they feel is unsatisfactory. They may feel that the second marriage will be a similar, painful experience to the first one, and they will decide to get out sooner rather than later. It's also possible that seniors are waiting until their family has grown to adulthood before choosing to get a divorce. Many people consider that they should stay together "for the sake of the children" while they are young. These statistics would seem to indicate that a significant number of people are not prepared to stay in an unsatisfactory marriage. The seniors may feel they have a number of "good" years ahead of them, and they want to be happy during their golden years. The lower figures for the Baby Boomers born near the end of the generation may be explained by the fact that this generation is waiting longer than previous ones to get married.